The Womens Scandic Glove from Jack Wolfskin is perfect for spicing up your winter outfit! With its stylish Norwegian pattern, the Scandic Glove brings a splash of colour to those gloomy winter evenings. 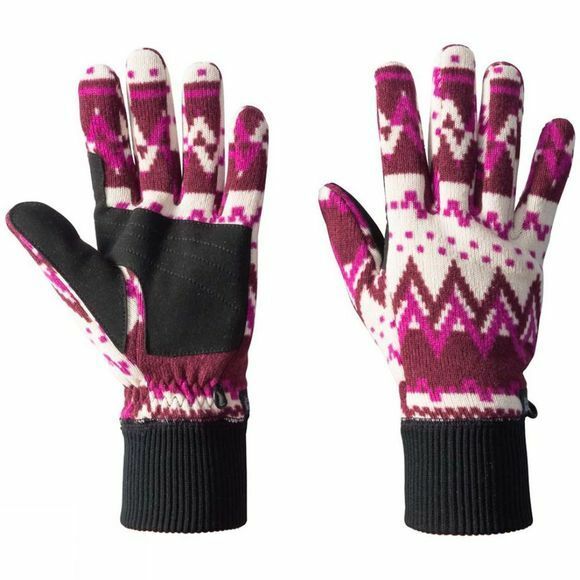 And to ensure that your hands stay warm even in icy cold weather, these fashionable gloves are made of one of our warmest fleece fabrics. The inside of the glove is soft and comfortable. The wide, rib-knit cuffs shut out the snow and the cold wind. The palms are reinforced for better grip and durability.